Access OfficeTools, Anywhere, Anytime with the OfficeTools Companion App. Together, OfficeTools and the Mobile Companion app give you the flexibility and mobility that your firm needs to be a truly digital firm. 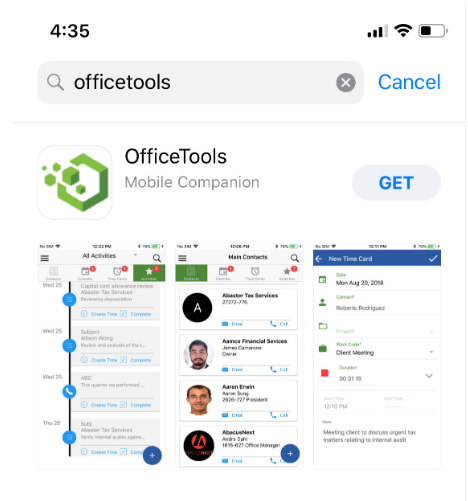 For use with existing OfficeTools clients, the OfficeTools Mobile Companion App is available now in the Google and Apple app stores. Never miss a billable moment – making client calls on the road or from home? Create and log time from anywhere. The mobile app will allow you to launch a call directly from the application, and prompt you to log your time when you have completed the call. Ditch the laptop, use the app instead! Know what is going one, all the time – View your activity list, add new notes, call and to dos. Mark activities as complete and create timecards from anywhere. Viewing upcoming activities by date makes it simple to know what is pressing, regardless of where you are. Be in control of your schedule – view your appointments directly on your phone with three different views, allowing you to use the view that works for you. Appointment details include, attendees, and notes associated with the appointment. 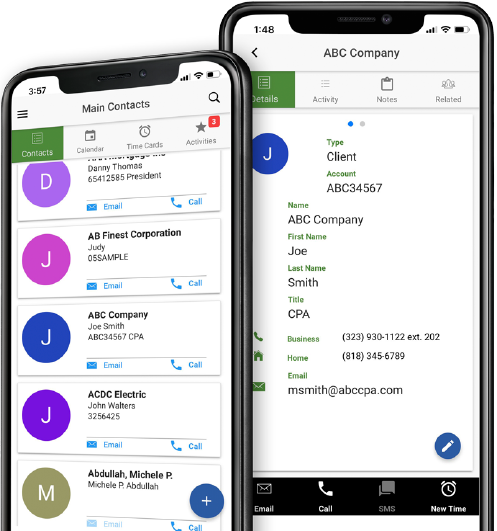 Stay up to date on everything – The OfficeTools mobile app synchronizes with your office OfficeTools system every 10 minutes. If you don’t have cell service, don’t worry you will have access to your app and data. Ready to see how OfficeTools can help you?